Don’t worry – we haven’t forgotten to keep summer special for vegetarians as well! 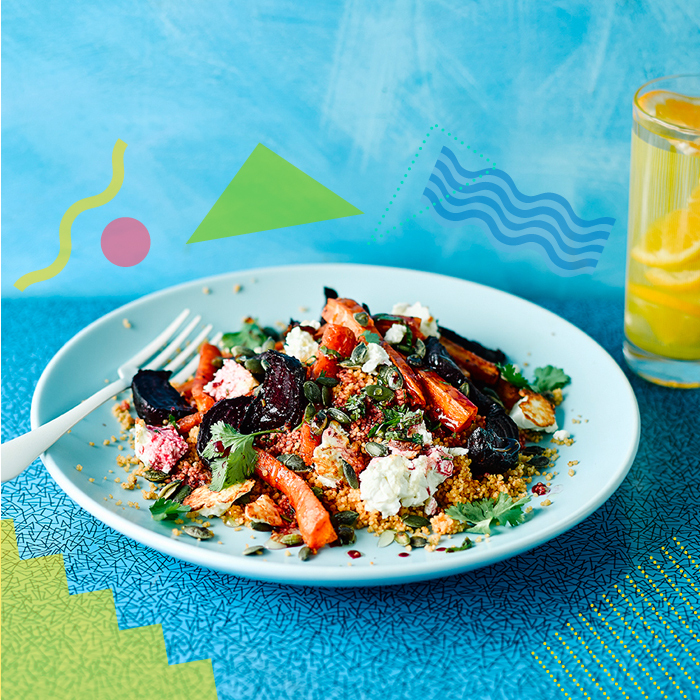 The Gousto Cookbook is packed with a huge range of vegetarian recipes that our customers love. We’ve picked out 5 vegetarian recipes that you need in your life this summer below. 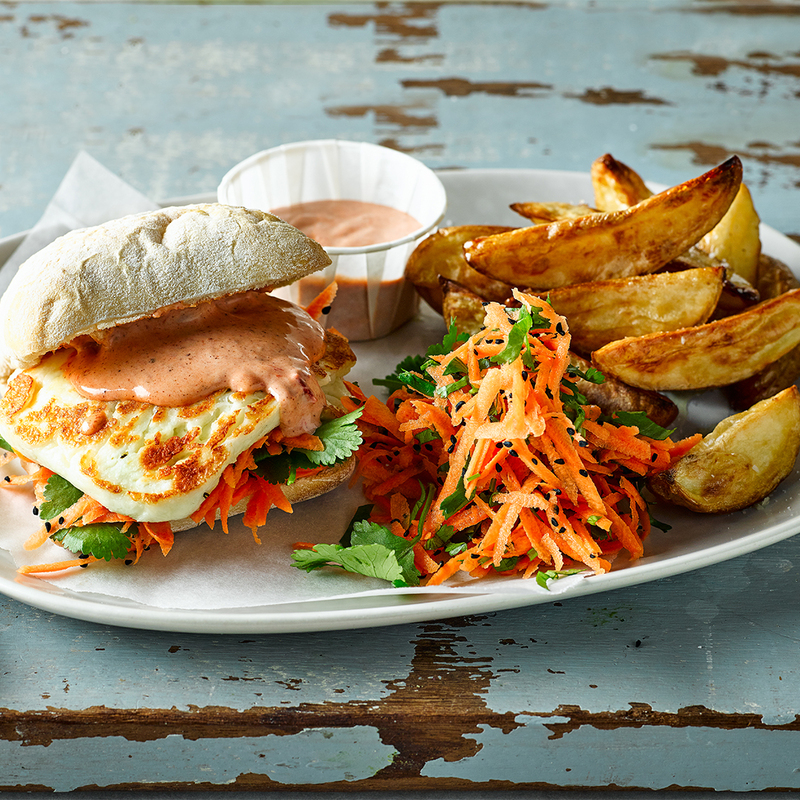 Using a unique method of preparing halloumi which involves ‘boiling then rolling’ the delicious salty cheese, this vegetarian burger is brimming with flavour, thanks to a harissa mayo and a homemade slaw topped with peppery nigella seeds. Best For: Making the beefburger brigade at your next barbecue jealous with the meatiest of cheeses. What’s better suited to a barbecue than a kebab!? 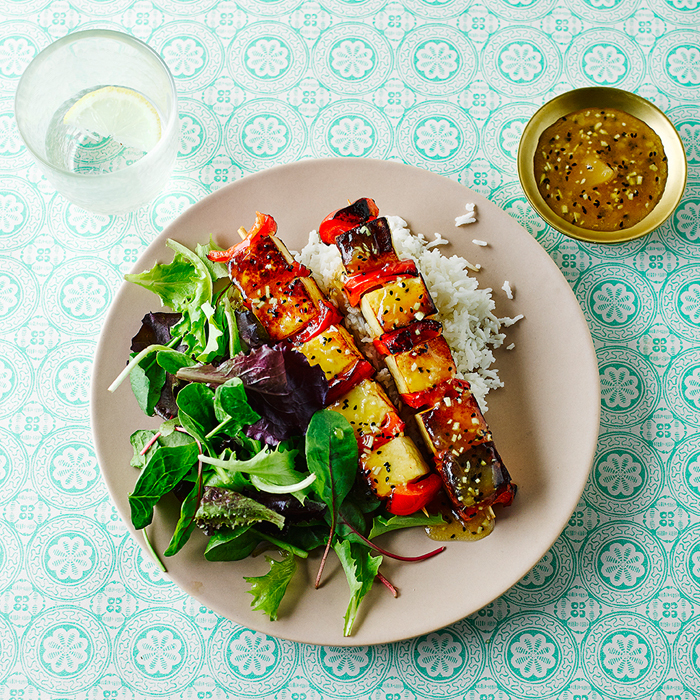 This vegetarian dish has been given a summery spruce by toasting the rice before cooking it, and topping skewers of red pepper and mango with a mango chutney, turmeric and nigella seed infused dressing. Best For: Making it an Indian summer with the exotic combination of mango and paneer, and learning a skill by toasting rice. 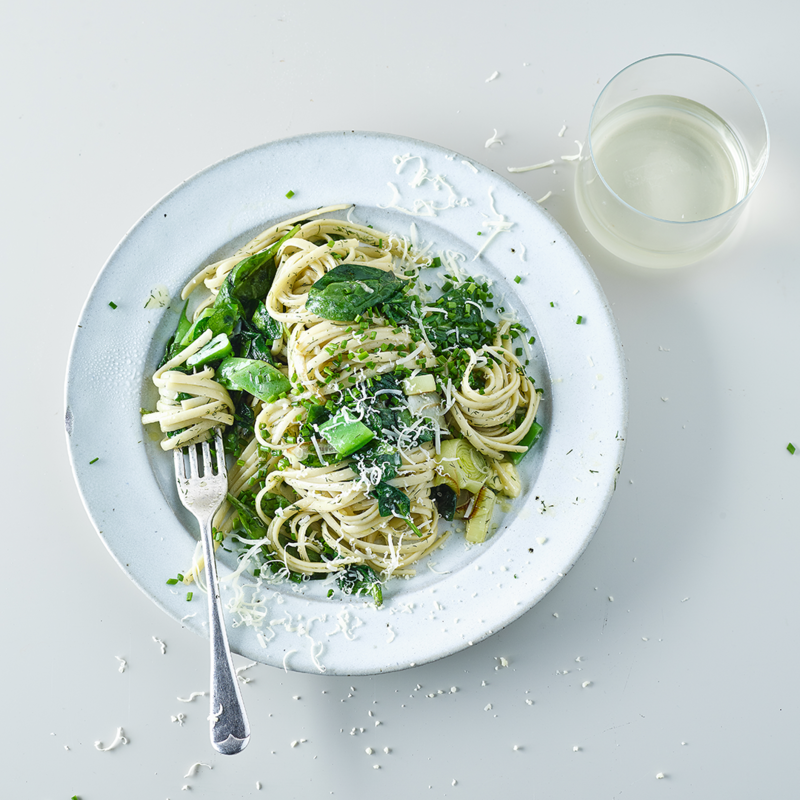 This linguine dish brings all of the greenery of summer – leek, spinach, seasonal runner beans, chives and dill – together in one vegetable extravaganza along with Cornish clotted cream and Italian cheese to make a delicious and refreshing pasta – YUM in the sun! Best For: Getting away with being healthy and indulgent at the same time! OK so we know this is the second kebab on the list, but we couldn’t resist (and hey, it’s barbecue season)! 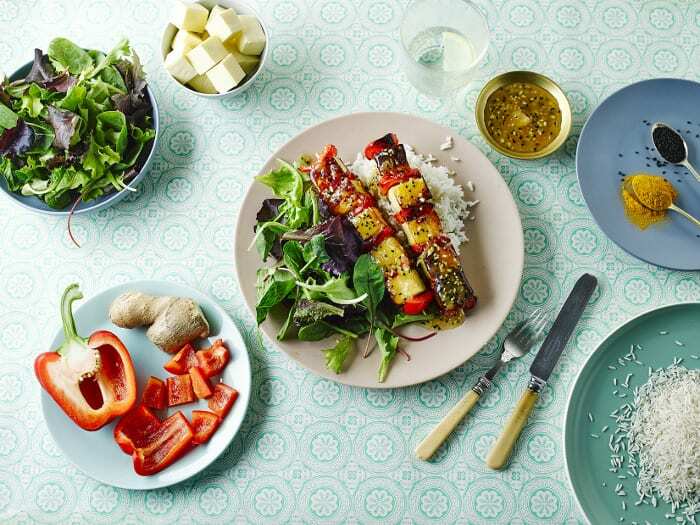 Here, the skewers are stacked with courgette and halloumi chunks and drizzled with a chilli and lemon dressing for a summery zing. 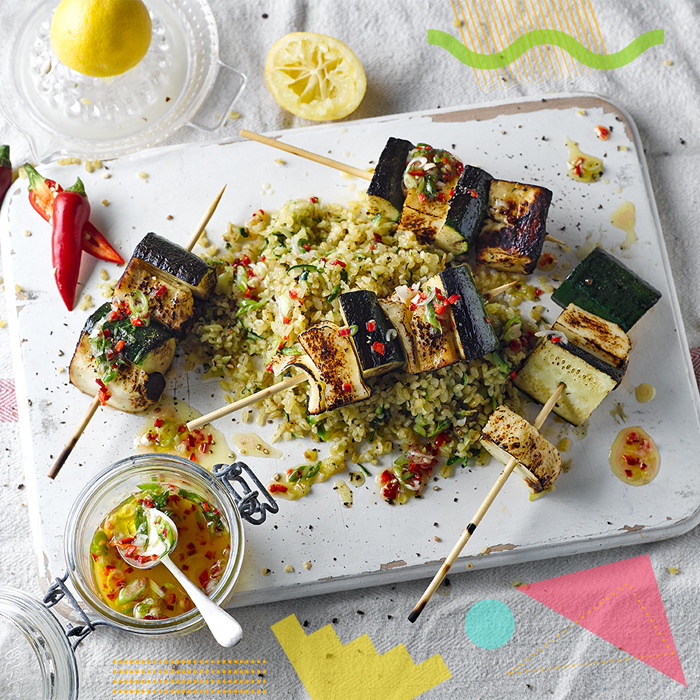 Best For: People who just want to try a bit of everything: halloumi, bulgur, courgette, citrus and chilli dressing…it’s all here! Bring out the flavours of barbecue with honey and smoked paprika creating some seriously tasty, sticky, sweet and smoky vegetables. 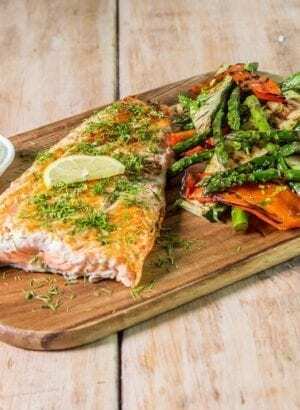 For us, this quick, flavour-packed dish is the perfect taste of the summer! 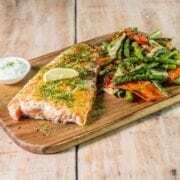 Like the look of these recipes? We have hundreds more just like them! Take a look at this week’s menu to see what’s available right now, or browse our Cookbook to see all of our recipes. Comment below and let us know what your essential vegetarian recipe is this summer!